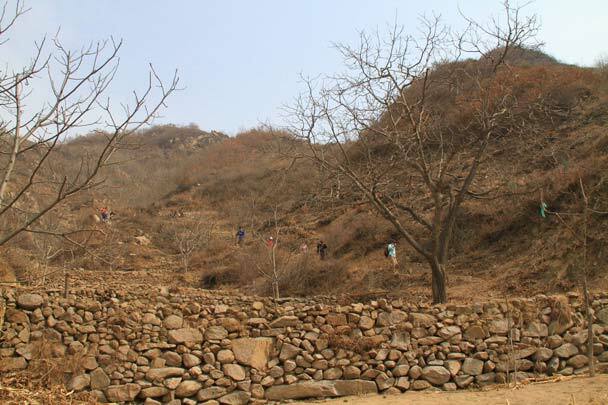 In Brief: Photos from hikers on a drought-breaking mission on our Pray for Rain hike. 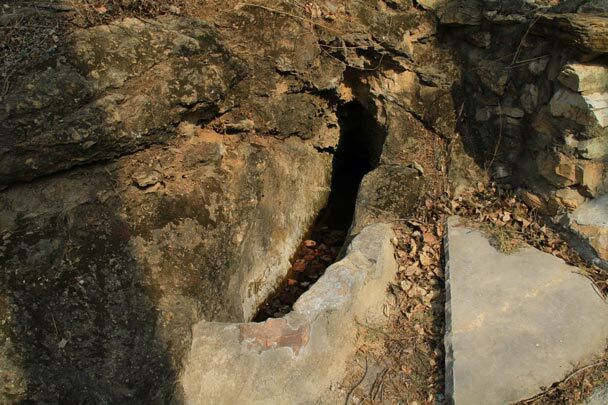 There's a great story behind this hiking trail, which was told to us by one of the locals the first time we visited the area, a tale of a barefoot pilgrimage through the hills to pray for rain. 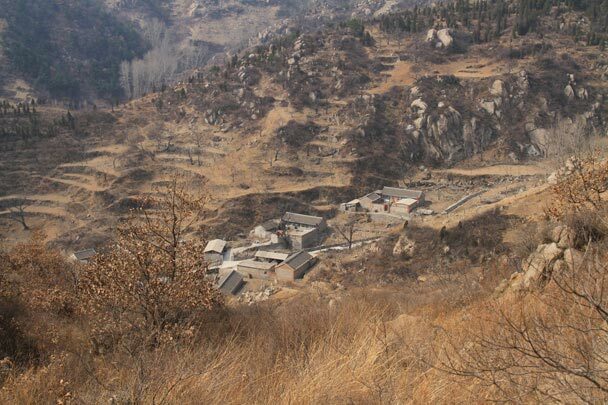 This story goes way back to the early days of Beijing Hikers. Out scouting for a way over the mountains, Huilin and Gary were drinking tea and talking about hiking trails with Mr. Zhu, one of the villagers. 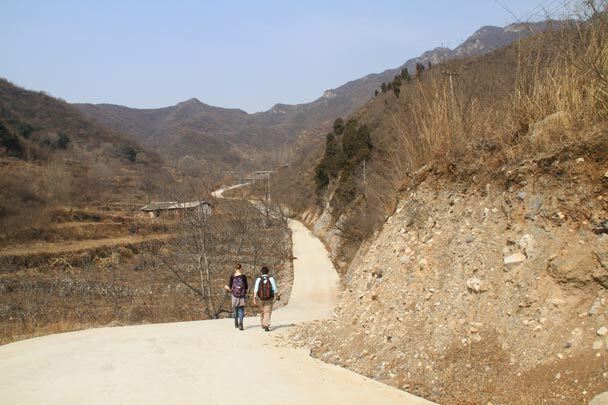 “When was the last time you walked over to Bailongtan [the end of the hike], Mr Zhu?”, asked Huilin. And old Mr. Zhu had a story to tell about that! 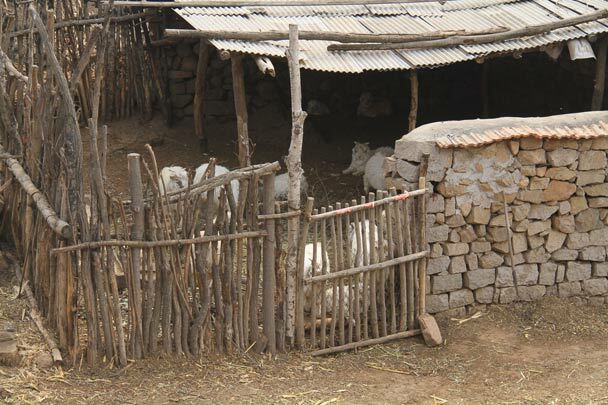 At that time Mr. Zhu was the village chief, and it was up to him to think of something. They all walked the trail through the rocky hills, feet getting sliced open by sharp rocks and spiked by thorns, all with the sun beating down. Reaching the temple they said their prayers, lit incense, and sacrificed a lamb. 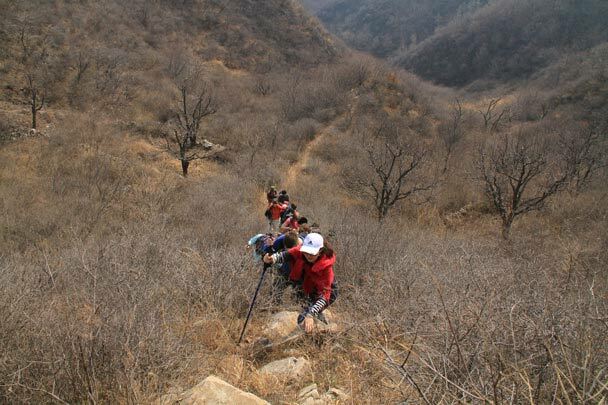 In early spring it's really dry in Beijing, so we organised a team of brave hikers to follow the footsteps of Mr Zhu and the villagers, taking the same trail over the hills to the end. Followed by a fresh breeze from the north, we headed into the hills, first on a concrete road and then on to hill trails that led up and over tall ridges. 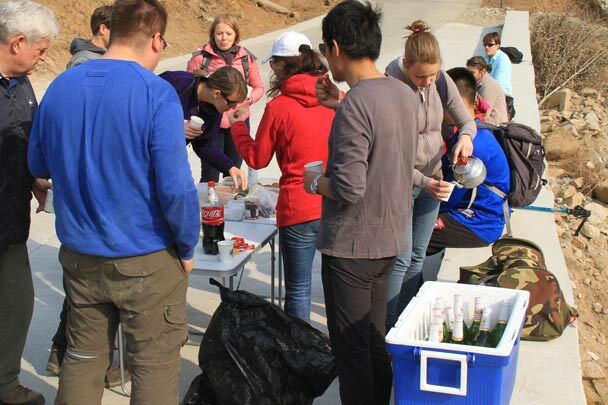 At the end of the hike we got what we were really praying for … a picnic with tasty snacks and cold bottles of beer! Leaves floating on top of a naturally formed well. A recently concreted footpath leads into the hills. Hikers on the way up and over the first hill; one of the toughest parts of the trail. The trail took us down to this village, deep in a valley. 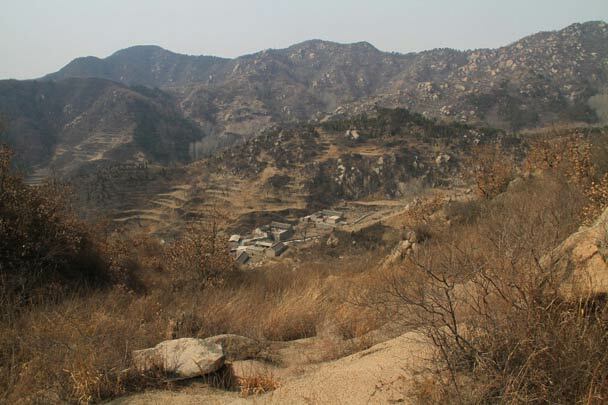 A longer view shows the village surrounded by mountains. We passed through an orchard at the foot of the hill. These are chestnut trees. 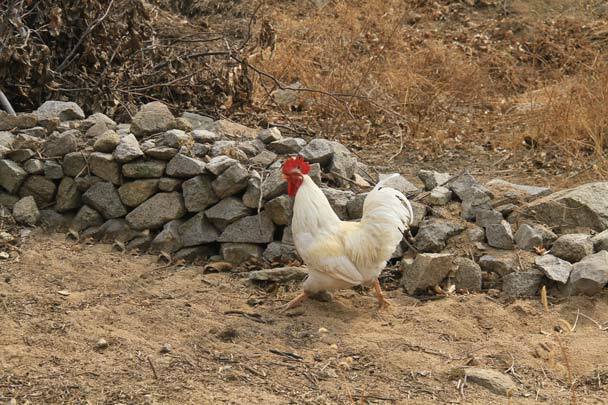 We spotted a chicken running about in the village. 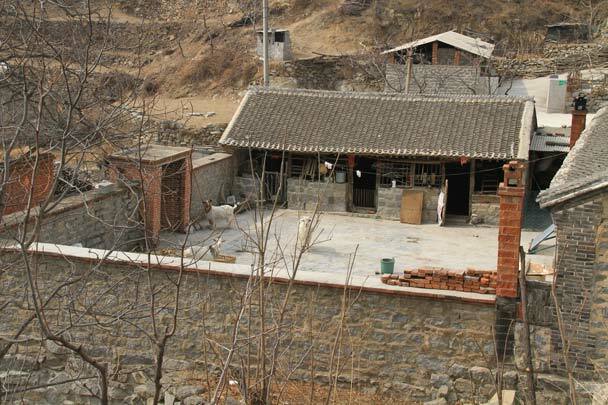 A glance inside a traditional countryside courtyard. Spring Festival couplets symbolising the family’s hope for prosperity in the upcoming year. Here came the reward: no rain, but beer and snacks were even better.